Find the most exciting local attractions and nearby events in our monthly Staff Picks blog. We’ll provide you with the best advice on how to get the most of your Naples vacation. Your vacation should be one of total relaxation, rejuvenation, and laidback fun. For some, this means a trip to the spa. For others, it can be sitting back with family and taking in the views. This month, you can do just that at the 2019 Blooms & Brews at the Naples Botanical Garden. On April 13, join the community in enjoying live music and refreshing crisp beers from local brewers at this 21-and-up event. With the beautiful landscape, flora, and fauna as your backdrop, the evening among the blooms is one of complete tranquility. For the DDs of the group, the event will serve free soda and water and a discounted ticket price of $15 (regular for non-members is $50). Proceeds from the event will benefit the Naples Botanical Garden conservation efforts and you’ll walk away with your own Blooms & Brews glass to commemorate this awesome evening that supports the local Naples community. It’s that time of year again! Spring is in full swing and one of our favorite holidays is fast approaching—St. Patrick’s Day! Did your luck bring you to our property just in time for the Irish holiday? You won’t want to miss out on a community tradition at the St. Patrick’s Day Parade on Saturday, March 16. 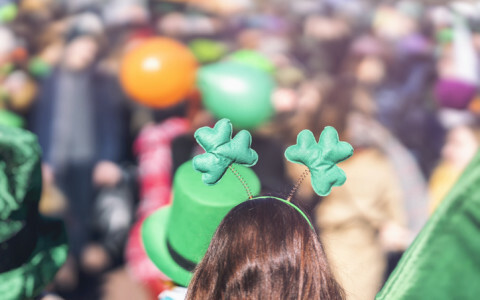 Before the big day, start your festivities early on Fifth Avenue South, where you can watch lively performers and colorful floats make their way down the street in honor of Irish culture and cheer. The parade has been an anticipated event in the Naples community every year for the past 40 years. Now, the parade attracts more than 40,000 visitors to downtown Naples to all celebrate together! Once the parade has ended, continue with the fun all throughout the afternoon on Fifth Avenue. Much like the country, the community here in Naples is a vibrant melting pot of culture and cuisine. In our many restaurants, shops, and neighborhoods, you can find beautiful experiences that reflect the different cultures that make Naples what it is. This month, look no further than the annual Greek Fest! This widely popular event attracts locals and visitors alike to immerse themselves in a fun afternoon of Greek culture. February 8, 9, and 10 you can check out the amazing dancing, musical performances, art, and entertainment the festival has to offer. And let’s not forget about the food. 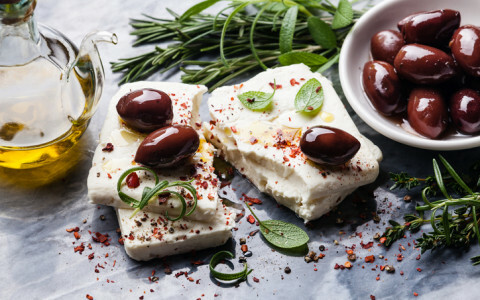 Get your fill of Greek classics from the many food vendors—and don’t forget the tzatziki sauce. This family-friendly event is only $5 for adults and free for children 12 and under, and if one day isn’t enough, your one-time admission is good for the whole weekend of festivities. 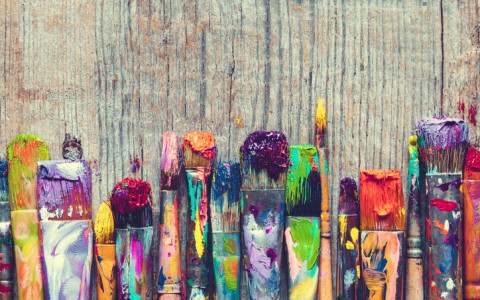 Connect with your creative side at this year’s annual Artcrafter’s Fine Art Craft Show! Stemmed from the Artcrafter’s organization’s monthly art shows in Cambier and Fleischmann parks, the craft show is everything you love in an art fair on a large scale! Held on January 12 from 10 a.m. to 4 p.m., the exhibition is a celebration of the creative community here in Naples by showcasing artists from all disciplines. Acrylic, watercolor, pencil, charcoal…you’ll find it all here in addition to handmade jewelry, exquisite sculptures, ceramics, stained glass, woodworking and more. A true festival in honor of all that is handmade, the Fine Art Craft Show is your chance to meet and mingle with artists and their incredible work. The best part? You can find special works to purchase and treasure for years to come. While the Naples Botanical Garden is always a magical place to be, it’s especially so during the holiday season. Enjoy an evening enjoying the “Night Lights in the Garden” throughout the month of December and into early January. Bundle up and watch as thousands of lights spring the garden to life with illumination. You’ll be mesmerized by the beautiful colors and charming displays, the light show is a Naples tradition! On select dates, catch community activities, entertainment, and performances—like the Opera Naples and Naples Ballet—to really experience the joy of the season. Each year, hundreds of locals and visitors gather to the gardens to enjoy this lively, joyful celebration of the most wonderful time of the year. Watch the lights December 7-23, December 26-30, and January 1-3 from 6-9 p.m.
We hope you’re hungry, this month kicks off the highly anticipated Sizzle SWFL Restaurant Week from November 29-December 12. The 14-day semi-annual event is a foodie’s paradise with the best of the Naples, Cape Coral, and Marco Island food scenes coming together to dish out incredible meals. Participating restaurants will offer specially-designed two-course and three-course dinner menus for everyone, both locals and visitors alike, to savor and taste their way through gourmet meals. If you’ve been on the search for the perfect Southwest Florida food tour, look no further. Over the years, the region has become a standout for extraordinary culinary offerings, and the Sizzle Restaurant Week is the best time to immerse yourself in all of the amazing offerings. But it’s not all about incredible food here, the festival is a charity-driven event that benefits community organizations and nonprofits. You bring the appetite, we’ll bring the food! Watch out, Naples, the Halloween season has arrived! Looking to get in some shopping and dining on Fifth Avenue South while you’re visiting? We suggest you do before October 31. On Halloween, Fifth Avenue turns from a shopping destination into a total Spooktacular that’s fun for the whole family! Get in on the action with upbeat music, lively dancing, a costume contest, activities and more. We hope you packed your trusty ghost costume because you’ll want to take home the prize for best costume of the night. The Spooktacular will go from 4:30 – 7:30 p.m., so you’ll be able to fully enjoy the Halloween night—the Naples way! There’s nothing better than seeing Naples’ most popular avenue be transformed into an annual, haunted Spooktacular with exciting activities and spooky haunts everywhere you look. On Third Street South, there’s always something exciting happening. Join in on the fun every Thursday of the month, year-round! September 13th, from 6-9 p.m. swing by Historic Old Naples for an evening of entertainment and live music. The stretch of Third Street—from courtyards to plazas—will come alive with locals and visitors from all over to come together and celebrate a slice of life in Naples. Depending on the time of year, the weekly gathering is home to a number of fun events. From wine tastings and art exhibitions to garden tours and fashion shows, there’s never a dull moment or moment to spare—Third Street’s inviting atmosphere has a way of making you relax and stay awhile. Whatever is on your mind, whatever makes you burst with energy, you’re sure to find it on Third Street in the Historic Old Naples. Prefer your shopping surroundings close to the water? Look no further than The Village On Venetian Bay. With more than 45 waterfront restaurants and shops, The Village is a luxurious retreat where shopping, sipping and strolling never felt easier. Whether it’s the boutique clothing, vibrant art galleries or mouthwatering eateries that call your name, you’ll love the peaceful getaway through the Venetian-style facades and dreamy courtyards that make The Village so unique. Here you’ll find shopping staples including Tommy Bahama and Chicos in addition to boutiques DanaTyler, Mondo Uomo, and Panache. After all your hard work shopping, you’ll be ready for a refreshment from one of Naples most popular waterfront restaurants. With the Venetian Bay as your idyllic backdrop, an afternoon at The Village is an afternoon well-spent. Cheers to Independence Day the Bellasera way with a little exploration, a little relaxation and a whole lot of celebration. We suggest starting your Fourth of July morning off with the popular Naples’ city parade. Beginning at 10 a.m., join in on the festivities as community members, performers and parade entertainers march down Broad Avenue and up numerous streets to kick-off the day of fun. In the evening, you can catch the spectacular fireworks display over Naples Pier beginning at 9 p.m. And in between then? We say kick your feet up as you unwind poolside or with an indulgent spa therapy service—you're still vacation, after all. Our all-new gourmet restaurant, featuring the freshest seafood cuisine, will fill you up enough to get back out in the festivities with friends and family to dance the night away. Happy Birthday, America! There’s nothing like spending a warm summer evening with live outdoor music and ocean views joined by friends and family. Lucky for us, Naples welcomes the opportunity every year with the annual SummerJazz on the Gulf at The Naples Beach Hotel & Golf Club. In its 33rd consecutive year, this Naples tradition is a free concert series where the Naples community can come together to listen to a diverse array of music. Beginning this month, on Saturday, June 23, from 6:30 p.m. – 9:30 p.m., the series will kick-off the summer with music from the Show Biz Kids, a 12-piece Steely Dan tribute band, out on Watkins Lawn. Visitors are welcome to bring lawn chairs and blankets to get comfortable, but be sure to leave room for dancing! Seafood lovers, we’ve got some great news: your upscale seafood dining experience just got a whole lot closer. Enjoy the best the Gulf has to offer right here in our very own lobby at The Claw Bar. Naples newest restaurant is a stylish and sophisticated space where friends can meet for Happy Hour cocktails and light bites, breathe in the fresh air on the expansive outdoor patio, and indulge in a decadent gourmet meal. Your starters? Only the freshest seasonal selections of oysters, king crab, caviar, and more from the raw bar. Then move on to specialties including seared scallops with an herb gremolata, a filet mignon featuring a pimento cheese soufflé, and rich lobster spaghetti. And just in case you’re like us and like to end an evening on a sweet note, The Claw Bar serves up dreamy desserts like New Orleans style beignets and a classic ice cream sundae. Tour the Naples Art District During "Art Alive"
Our beautiful beaches and “sugar” sand may take the cake for what attracts our visitors most, but Naples is also home to a vibrant art scene that will make you want to take a break from those ocean views. Join in on the fun April 4, 5-8 p.m., in the Naples Art District for an evening of “Art Alive.” Spot the magenta and white art flags and take a tour of the district’s galleries. This “1st Wednesday” meetup is an opportunity for artists and admirers to intertwine. With over 40 professional artists displaying their recent creations, “Art Alive” is a chance to learn from southwest Florida’s very best while they give insight and tips during live demonstrations. For the past ten years, the Naples Art District has been transforming into a bustling spot of studios and galleries where people can come together for the love of art and all its mediums. One of the things we love most about Naples is how close everything is. From our grounds, you are minutes—sometimes even just a couple steps—from pristine beaches, beautiful parks, and tons of activities. Consider these different, fun ways to get around town! On foot: As we said above, there are so many activities in our neighborhood. Stop by the nearby Garden of Hope & Courage for a small, peaceful oasis to eat a quick lunch or regroup before heading out. Bike: Rent a couple bikes and head out beachside for a breezy ride exploring around town. Segway: If you’re feeling adventurous, Segways are a fun alternative to the norm, and you can join in on a Segway tour to see all of Naples' most iconic landmarks. Drive: For longer day trips south, it’s best to rely on four wheels—but be sure to pack your favorite snacks! Just five minutes from our hotel grounds, a dreamy escape awaits aboard a cruise on the Naples Princess. While sailing the calming waters of Naples Bay and Port Royal, you and your loved one can soak in the vibrant Naples sunset before indulging in a gourmet dinner with live entertainment. With Valentine’s Day right around the corner, a reservation aboard this relaxing cruise would give you and your valentine a one-of-a-kind experience you’ll cherish for years to come. Prefer something for the whole family? The yacht also offers a lunch-buffet cruise and a sight-seeing cruise, if you’re on the search to find a dolphin family swimming in the waters below. Whatever your reason to set sail, from the docks at Port of Naples Marina, you can take a tour of Naples like you’ve never seen it before. Contact at 239-649-2275 for more details. Reservations are recommended. The hustle and bustle of day-to-day life in Naples is an exhilarating, exciting thing to be a part of. But we also know how important it is to set aside time to wind down and relax. 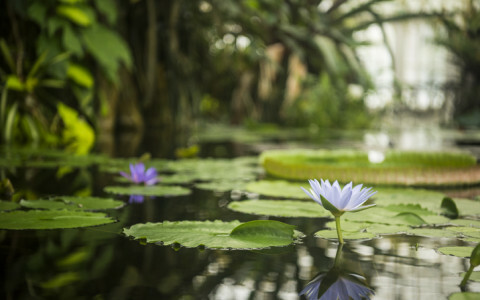 And one of our favorite ways to do that is by spending the afternoon at the Naples Botanical Garden. These expansive grounds cover 170 acres of gorgeous gardens with up to seven different natural habitats, ecosystems, and over 1000 species of plants and flora. It’s also the youngest garden in history to receive the prestigious American Public Garden award for Garden Excellence. And while you’re twisting and turning through gardens like the Scott Florida, Lea Asian, and Water gardens, it’ll be all too easy to feel peacefully lost in paradise among the culture and history of the tropic flora surrounding you. Traveling with young ones? There’s a café on the property to stop in for a quick bite to eat, sure to satisfy all ages. Experience the heart and soul of Naples with a trip down Fifth Avenue South. Since its humble beginnings in the 1920s, this “main street” has been the one-of-a-kind lively and bustling meeting place for locals and visitors alike. Today, a vibrant mixture of boutiques, galleries, cafes, restaurants, and more provide the perfect opportunity to go for a stroll, meet up with friends, or pop in to stylish shops to discover all that this historic street has to offer. During the day, enjoy the brightly colored building facades against a clear blue sky. And at sundown, watch the street glow with rich beauty from our beautiful sunsets. Whether you’re here for a quick drink or a long catch-up, it’s hard not to fall in love with the sophisticated elegance and small-town friendliness that sets Fifth Avenue South, and Naples itself, apart from anywhere else in the world.